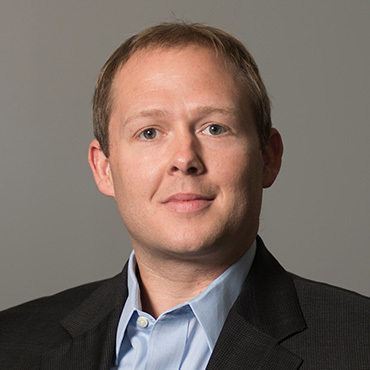 Seminar Series 2019 – Jason Hicks, Ph.D.
Home All Events Seminar Series 2019 – Jason Hicks, Ph.D.
Plasmas create incredibly reactive chemical environments and have a long history in chemical synthesis and removal of volatile organic compounds. Plasmas can be generated in the presence of a catalyst (plasma-assisted catalysis) to increase conversions and improve the selectivity to desired products. Our research in the area of plasma-assisted catalysis is focused on the ability to control the catalyst performance by tuning the plasma environment or plasma-catalyst interactions. We have been particularly interested in the use of non-thermal plasmas for C-H and N2 activation via dry reforming of methane and ammonia synthesis reactions, respectively. Specifically, this presentation will focus on 1) the reaction regime where catalyst-plasma interactions are observed for these reactions, 2) the various catalyst-plasma interactions observed, and 3) the role of the plasma in enhancing reaction efficiency. This presentation will highlight our recent progress in controlling plasma-catalyst interactions to enhance reaction efficiency. Jason C. Hicks is an Associate Professor and Director of Graduate Studies in the Department of Chemical and BiomolecularEngineering at the University of Notre Dame. A native of Calhoun, KY, he received his undergraduate degrees in chemistry and chemical engineering from Kentucky Wesleyan College (B.S.) and Vanderbilt University (B.E.) respectively in 2003 and his Ph.D. in chemical engineering from the Georgia Institute of Technology under the advisement of Dr. Chris Jones in 2007. Prior to joining the faculty at ND, Dr. Hicks was a Lead Research Engineer at Chevron Energy Technology Company in catalyst evaluation, biomass conversion, and feedstocks/logistics. Dr. Hicks’ current research program centers on the design and synthesis of new catalysts with tunable and/or controllable chemical, structural, and surface properties to effectively and efficiently upgrade various renewable and petroleum-based feeds to liquid fuels and chemicals. Hiswork focuses primarily on the synthesis and optimization of new types of bimetallic catalysts, zeolites, tethered organic/inorganic catalysts, and metal-organic frameworks, classes of catalysts that are industrially relevant or have high potential for societal impact by enabling new technologies. His work also includes developing new materials and processes for plasma-assisted catalysis to efficiently convert N2 and H2 to ammonia or CO2 and CH4 to syngas. The National Science Foundation and American Chemical Society Petroleum Research Fund have recognized his work with awards including the NSF BRIGE, NSF CAREER, and ACS PRF Doctoral New Investigator. Dr. Hicks is the recipient of the 2013 Frank O’Malley Undergraduate Teaching Award and the 2017 Rev. Edmund P. Joyce Award for Excellence in Undergraduate Teaching at the University of Notre Dame.